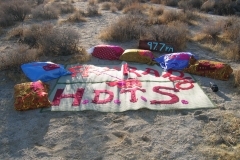 For High Desert Test Sites 4, I collaborated with artist Fabienne Lasserre on Free Radio HDTS, a low power FM radio station. 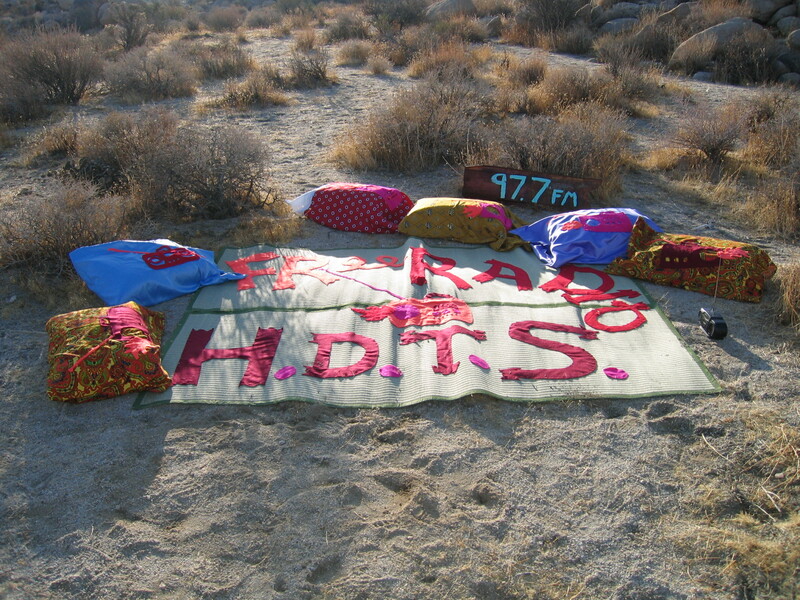 We compiled over ten hours of audio art, music, and archival material, inspired by high desert geography, which was broadcast during the three-day event held at sites near Joshua Tree, California. 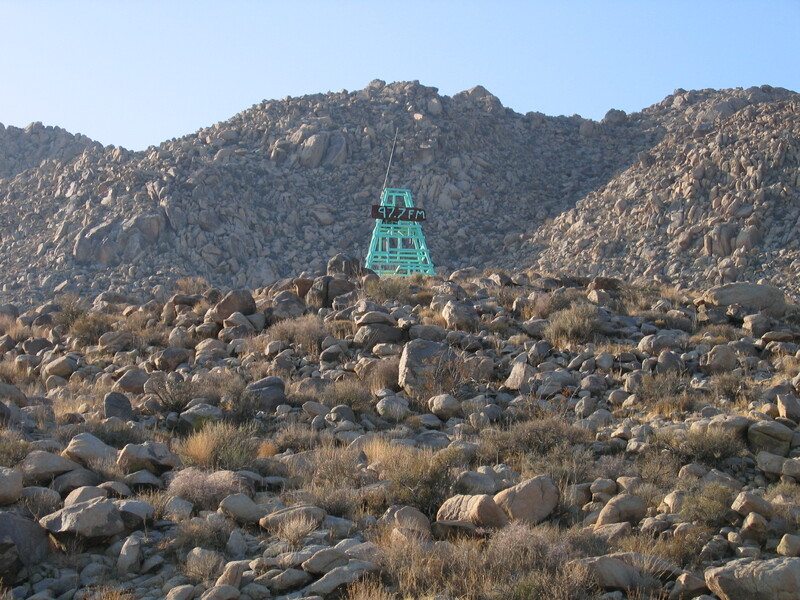 Many listeners tuned in as they drove between the sites; others listened as they hiked, letting the station’s audio offerings influence their perception of the natural and cultural landscape. 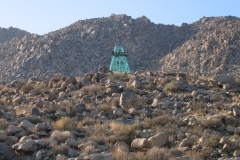 High Desert Test Sites headquarters was tuned in, so Free Radio HDTS was a constant companion to visitors and artists, while also available to truck drivers, outlaws, vacationing families, and other passersby in range. 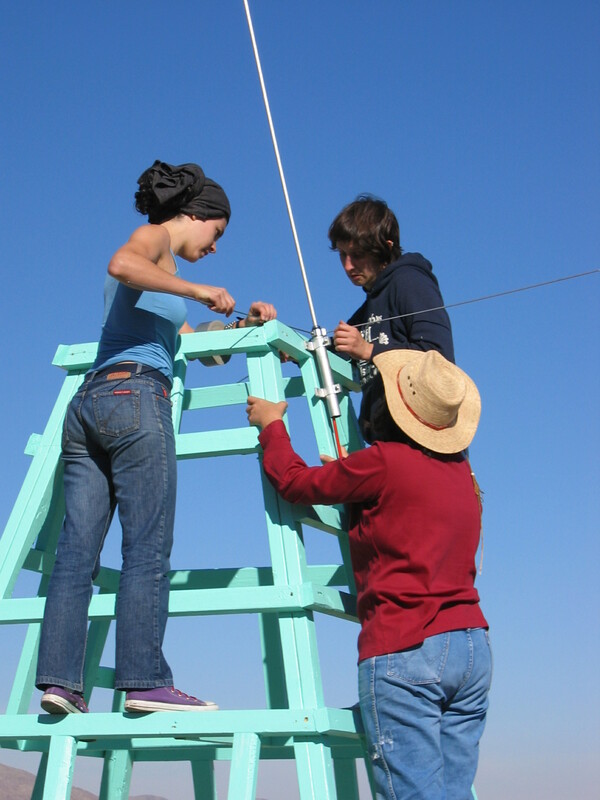 The transmitter was assembled on-site, using commercially available components, and broadcast from a tower built by Justin Beal. Its signal reached about seven miles into the valley below. 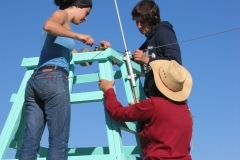 Free Radio HDTS was again installed, tower and all, at LACE in Los Angeles, broadcasting in downtown LA for three months. Excerpts were also featured in “Daily Noise, 22 Days of Sound Art” at Columbia University’s Leroy Neiman Gallery; and on WFMU in New York City as part of Performa 05.